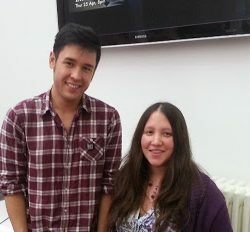 Talking to James Wong at Seedy Sunday! -> Continue reading Talking to James Wong at Seedy Sunday! Is it cost effective to grow your own organic vegetables? -> Continue reading Is it cost effective to grow your own organic vegetables? Wouldn’t it be great if you could keep updating your garden each year without spending money on plants, or have a vegetable patch that someone else maintains for free. We have found it really hard to juggle the needs of two small children and do the gardening. We have done some bits to the gardens.